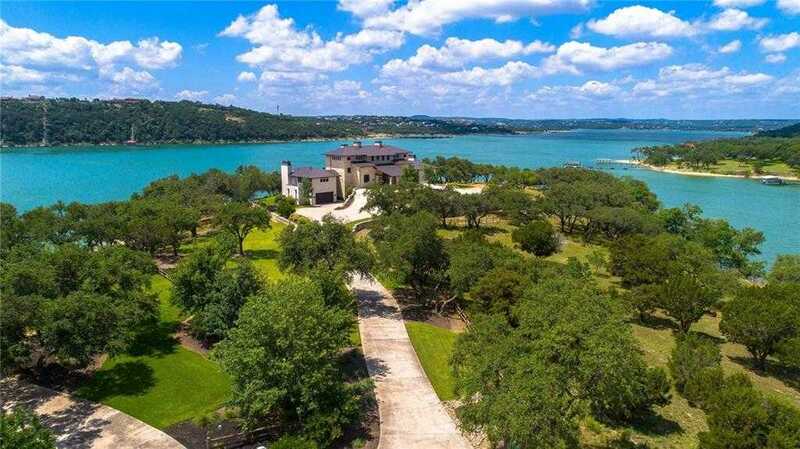 Lake Travis’ Premier Private Waterfront Estate! Developer x2019;s custom waterfront estate sitting on 6.18 acres and over 1200 feet of shoreline. This magnificent home has a total of 12,000 + sqft! With 4 ensuite bedrooms 2 of them master suites, 6 fireplaces, gourmet kitchen and butlers pantry, this home offers everything imaginable for a family and entertaining. This unique and masterfully crafted home is considered the gem of Lake Travis living and is shown by appointment only to qualified buyers.